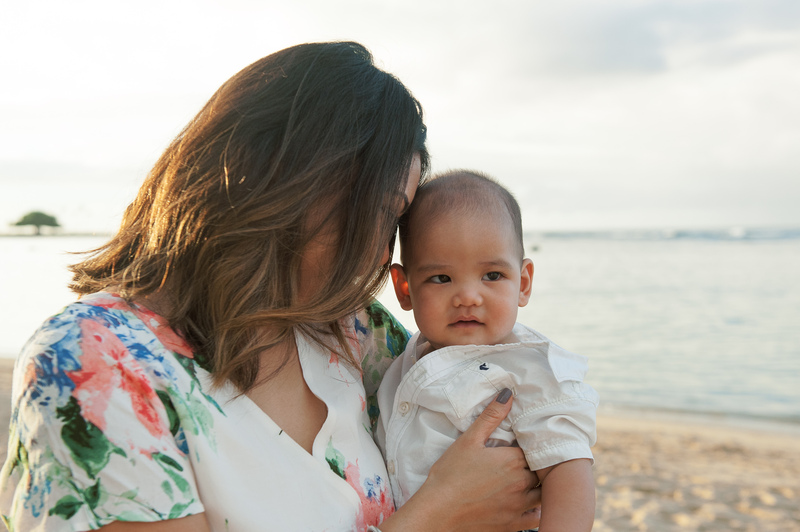 Ala Moana Beach Park has always been a favorite of mine for family photography. Somehow though, I wandered down a few lifeguard towers to find a new spot recently. Sometimes we all just have to mix things up, right? It has been a great spot at Ala Moana Beach Park! The lighting is always a surprise, the way it is positioned, the way the clouds affect it, the way the clouds are sometimes non-existent. Always a challenge with family photography to chase after kids and to get them to smile! Also, avoiding all the other beach-goers is a good mental exercise too. Meet the G family, who went down to Ala Moana beach park with me for some family photos a couple of weeks ago- great skies, fun lighting and lots of questionable looks about the sand and water. I think we managed to get a few good ones though… time is almost running out for your family photography session for your holidays cards! Email, call or text me today to set your session up!